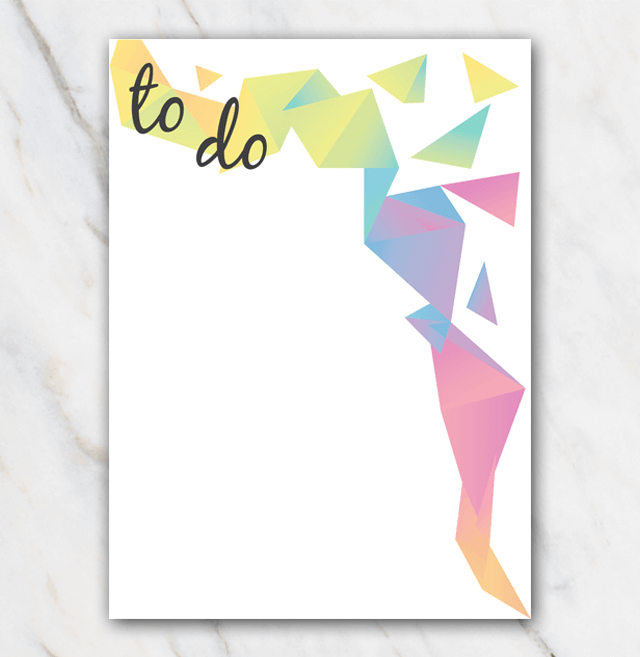 Such a lovely and colorful to-do list. Just download for free, print at home and write down all your to-do's. Make sure your head gets decluttered with this printable action plan. By writing down all the tasks you have in your head, you'll brain will get so much rest! Looking for a less colorful to-do list? No worries, just check out the other printable action plans, you can download them all for free.